The new IP from Motive Studios, will likely be a large-scale game with a significant amount of AI contribution. At least, if a recent job opportunity at the studio is to be believed. At the moment of writing, Motive is looking for an AI programmer to join their ranks, and work on their new “exciting” IP. Motive is seeking a AI Programmer to join our team and contribute to an exciting new IP! In this role you’ll have the opportunity to design automated systems to control the behaviors, short and long term goals, and reasoning of AI. As a core member of the Studio Leadership Team you will also play an integral role in building Motive’s culture and establishing the AI direction. According to the job description, the ideal candidate has “experience working with a team of engineers throughout a full development cycle on an AAA title”, and “has shipped titles with a significant AI contribution”. Architect and implement primary AI solutions for large scale games. Experience working with a team of engineers throughout a full development cycle on an AAA title. Has shipped titles with a significant AI contribution. 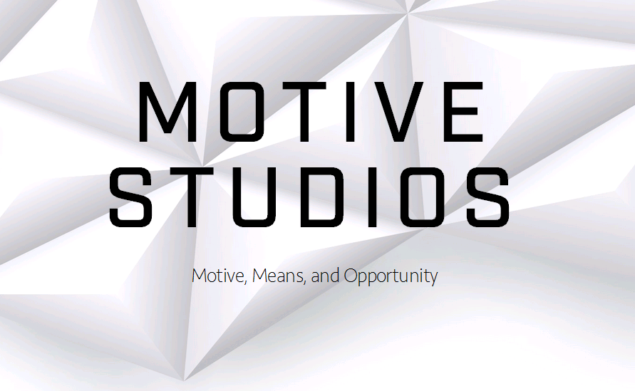 Motive Studios is led by Ubisoft’s former Assassin’s Creed producer, Jade Raymond. New official details about Raymond’s new project have been revealed, but according EA’s CFO Blake Jorgensen, Raymond and her Studio are working on a Assassin’s Creed-styled, open world action title. “We’ve never really operated in the largest genre of gaming, and that’s the action genre. That’s the Assassin’s Creed-style games; more open-world, more single-play versus multiplayer. It’s not been an area that we’ve operated in. We recently hired Jade Raymond, who was behind the Assassin’s Creed franchise for Ubisoft and she will be building an action genre for us through a studio we’re building out in Montreal right now. So a lot of excitement around the action genre”, said Jorgensen during the UBS Global Technology Conference. We can’t wait to learn more about Motive’s new project, and we’ll keep you updated when we learn more.